Above is the board before the action starts. Germans will enter from the left. Two of our men played the Russian defenders, and prepared their defenses before the public came. 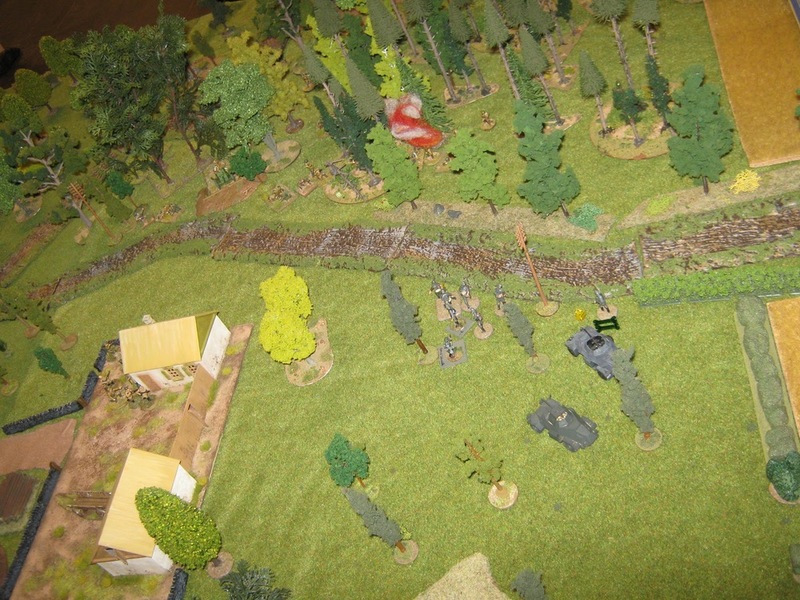 Everyone interested were able to get a unit of Germans and be part of the glorious advance on Minsk and Moscow. 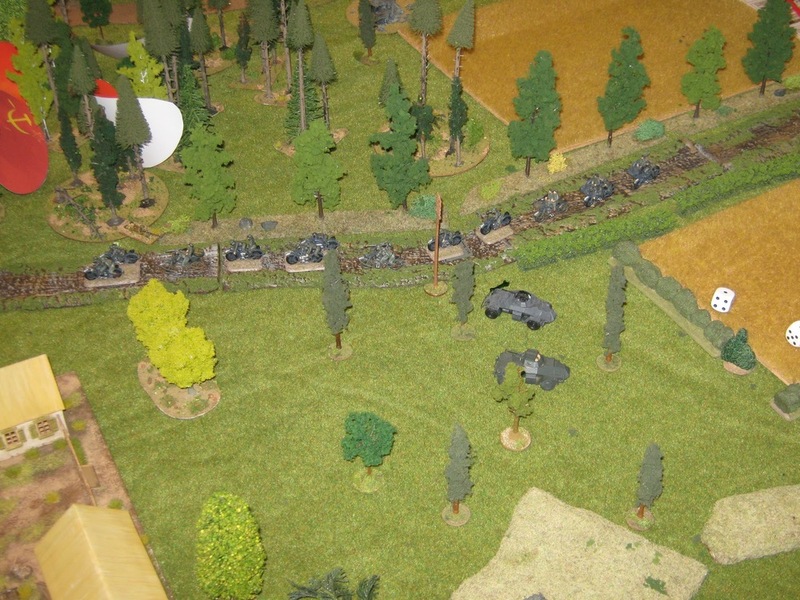 We have two obvious routes in for the Germans, the central road going through the board, and one road going through the woods on the right flank. The first German recce units went for the central road, and they sent one empty blind by the right road. That blind went a bit forward, started spotting and promptly found traces of tampering on the road ahead – a clever ruse by the Russian, they didn’t have one mine. That stopped all advances on the right flank. Job well done J For the rest of the action I let my pictures tell the tale. About now we called it a day, after about ten hours of gaming. 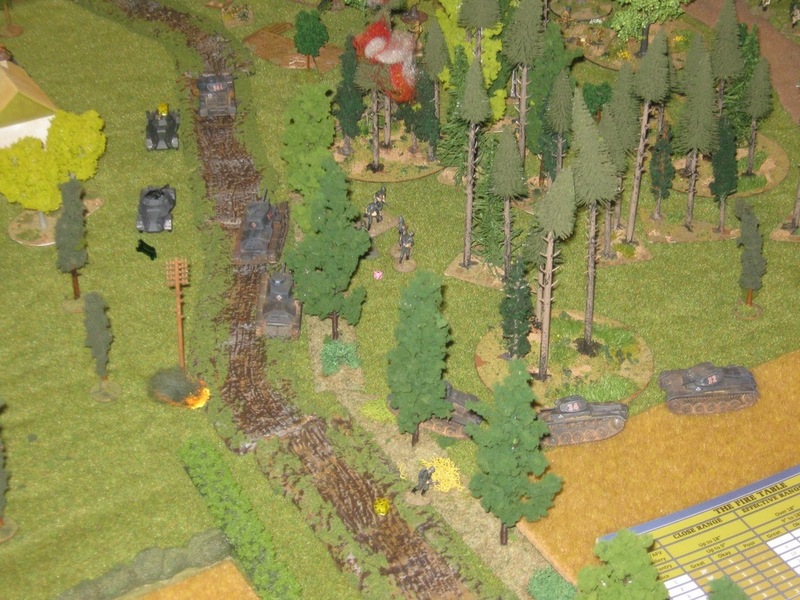 The Germans had a break-through, but a lot of angry Russians in their back and flank and rather heavy losses - and therefore an urgent need for wooden crosses. 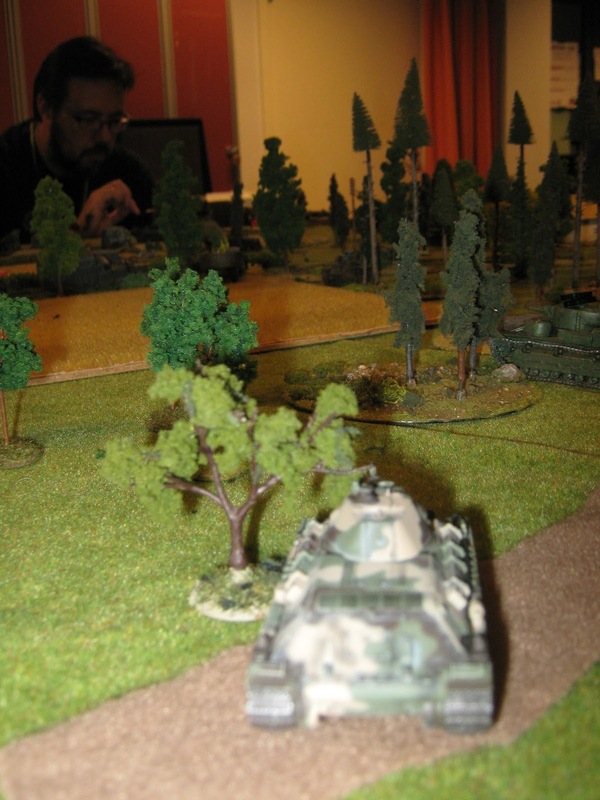 Would the Russians cooperate and the Germans get a Kessel, or was this an early set-back? Who knows? A nice game, and I hope everyone enjoyed themselves. We were seven people from the gaming group playing, umpiring, explaining and having a good time, about ten people participating during the day and a bunch of spectators coming and going. I was exhausted when I came home at half past eleven.